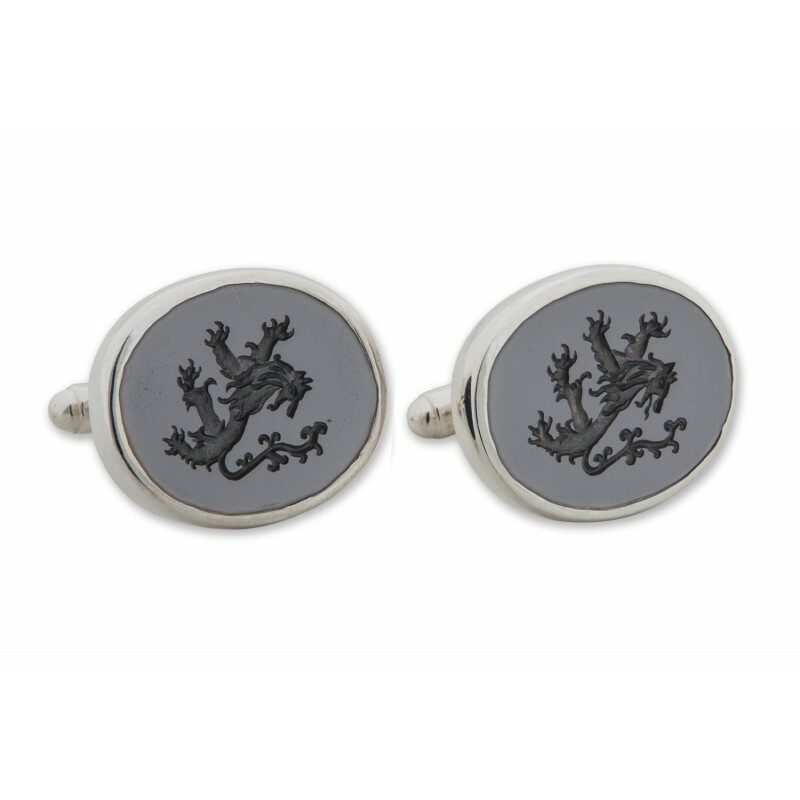 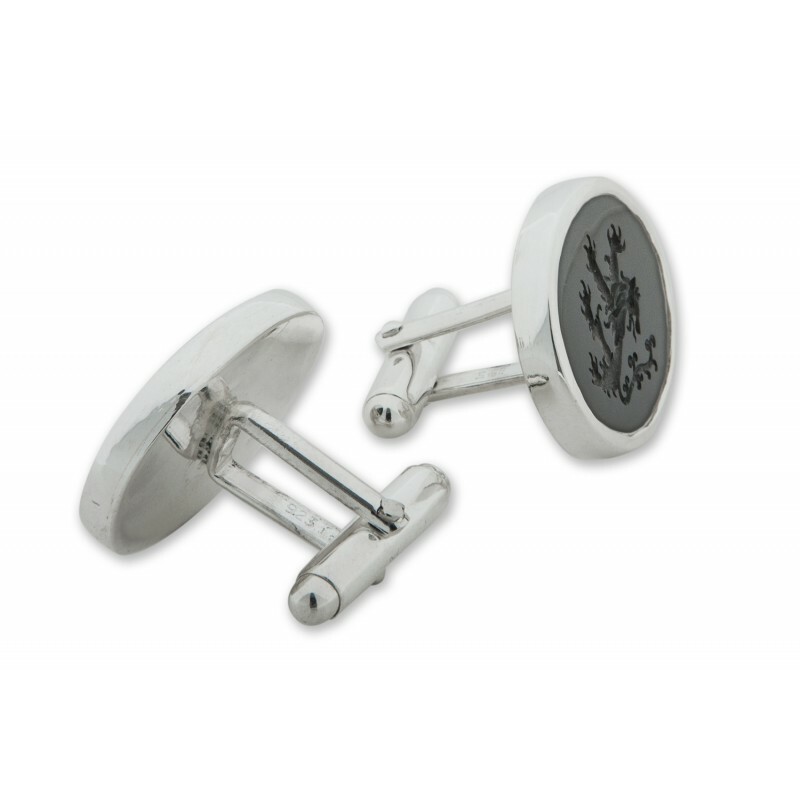 Black onyx cufflinks featuring an heraldic lion. 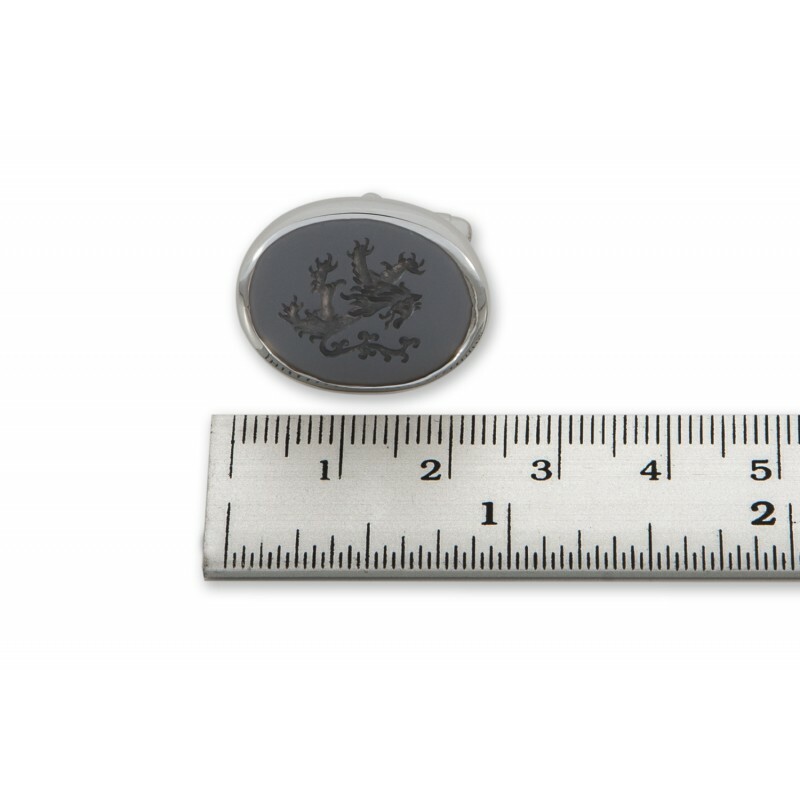 Fine engraving by hand produces a wonderful effect on the natural black onyx ovals. This pair of black onyx cufflinks feature hand engraved lions, a fabulous gift for one you love, or for yourself. 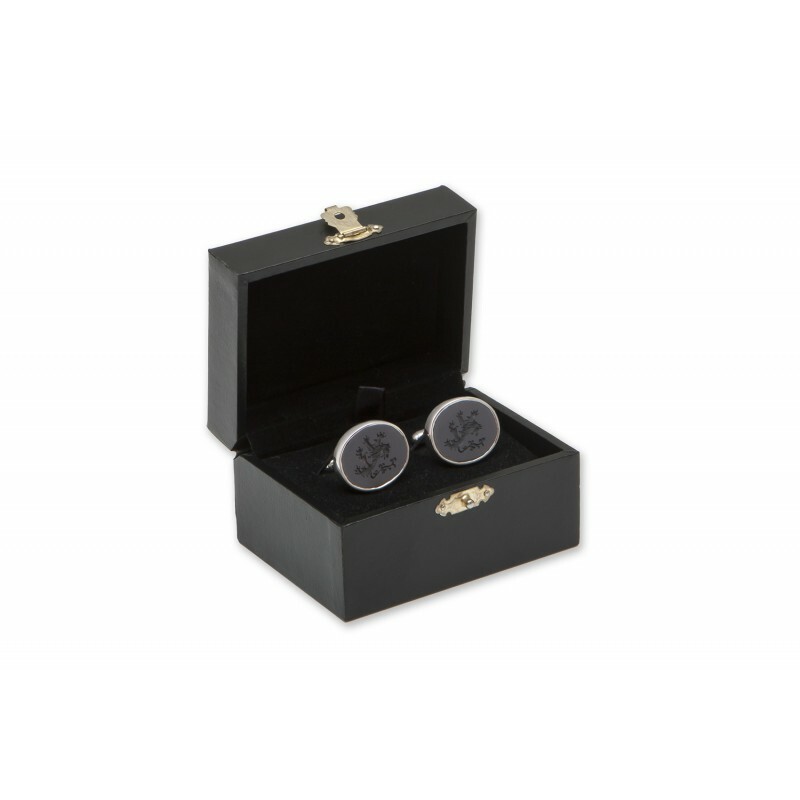 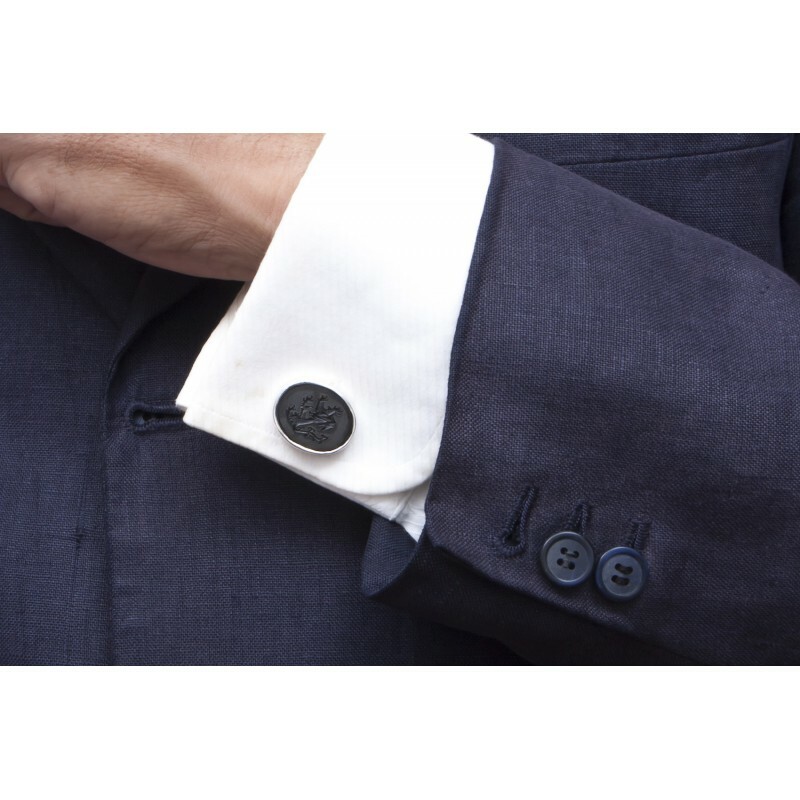 Please buy these black onyx cufflinks now.